Torpedo Launchers: 3 [2 Foward, 1 Aft]. Starship primary mission: Planetary and Deep-Space Exploration. U.S.S. Stargazer arrived at Starbase 111 for a stopover before venturing once more into the final frontier. The exploration starbase resided over the driftward side of the Federation towards the Syr'Ypt'Q Kingdom and the unknown beyond. The station orbited a frozen gas giant, near an antimatter facility. Oberth and T'Lani class science vessels are the usual starships to visit this remote station. Stargazer was launched on St. George's Day April 23rd 2285. Commanded by Captain Donald Capello, she entered service in 2286. Stargazer was the fourth member of the Constellation class to enter service and she helped to pioneer deep space missions exceeding five years. 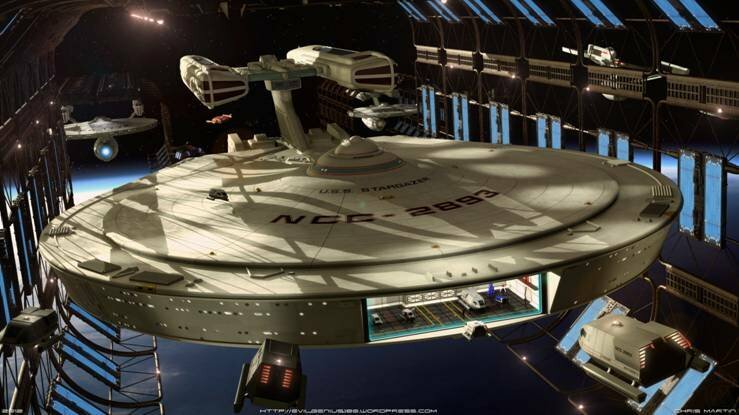 Constellation was tested extensively up to 2293 to trial the concept, whilst Starfleet Academy worked with Starfleet Medical to see if personnel were up to an extended mission of this length away from their home, friends and families. Commander Stephen Roth was the station commander for Starbase 111. She had five starships assigned to her: one Okinawa class, one T'Lani class and three Oberth class science vessels including the Copernicus NCC-640. This station was designed to reinforce the links with the Syr'Ypt'Q Kingdom and a stopover for the frontier. This station started off as deep space science and resupply station before being upgraded to starbase status. With Starfleet reinvigorating the scientific and exploration aspects of the fleet, bases such as this cover the frontier of the Federation. T'Lani class scouts provide long range exploration that Oberth class ships can study in more detail. The Okinawa class provides a security presence. Being a frontier station it does not have any space dock facilities, so the Stargazer had to orbit the station to allow the crew some well-deserved shoreleave before the long voyage into the unknown. 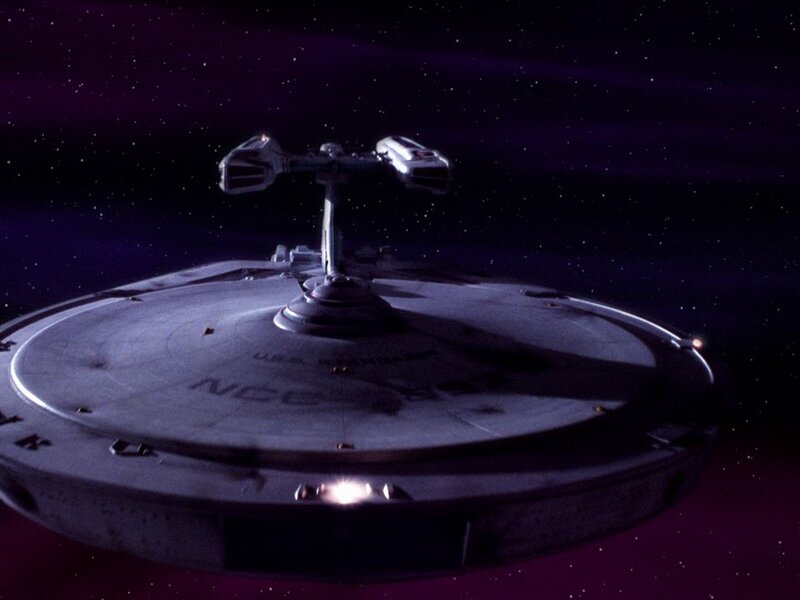 The first Constellation class star cruiser seen on Star Trek: The Next Generation was Stargazer in "The Battle", apart from Picard's ochre-coloured ready room model NCC-7100. 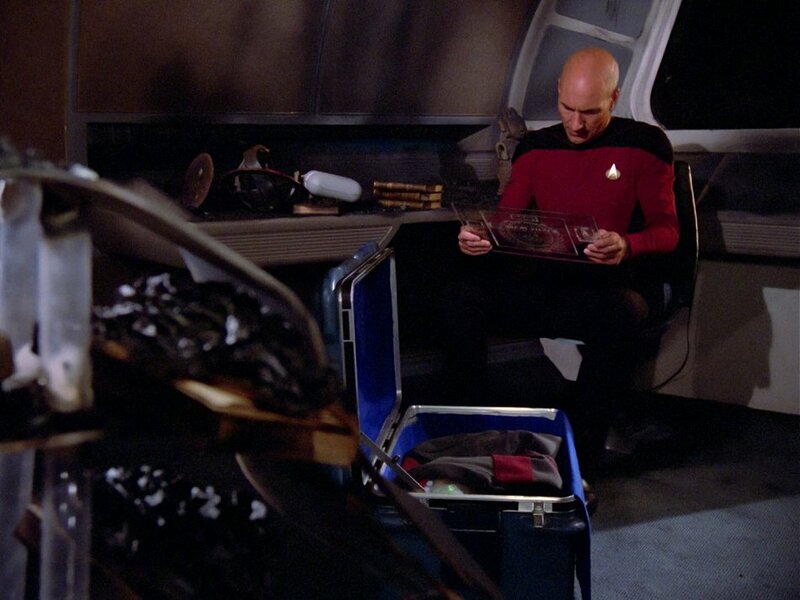 The 1986-filmed episode used the remains of the Enterprise-A sets from Star Trek IV, including the rear wall, captain's chair and helm-navigation desk from the Bridge set. 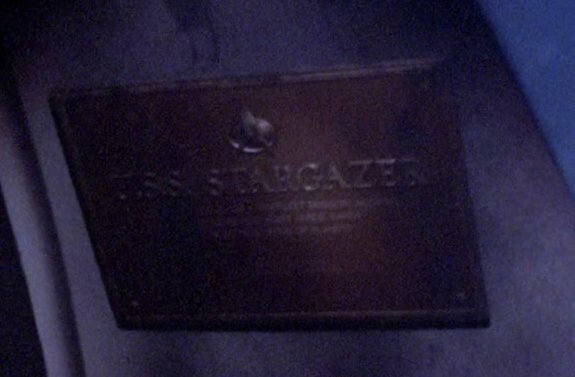 The other Stargazer set was the captain's quarters which reflected how small the cabins were on eighty year-old starships compared to the palatial ones on the Enterprise-D. The bridge was redesigned around the fact that the side walls had to be replaced from flood damage - which would later necessitate the creation of a whole new Bridge for the Enterprise-A in Star Trek V: The Final Frontier. 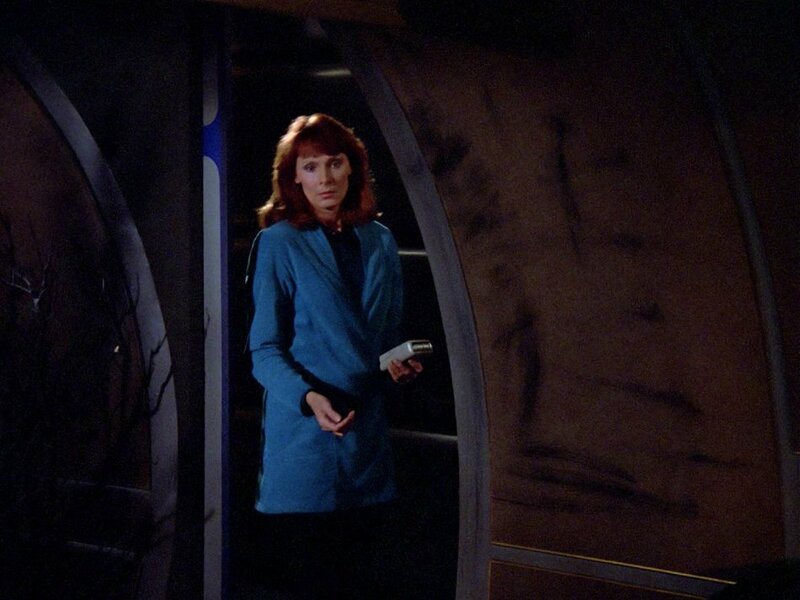 It implied a vessel with as big a saucer as a Constitution class had a small bridge - which doesn't make sense. I'd argue she should have an identical Bridge to the Enterprise-A in Star Trek IV. 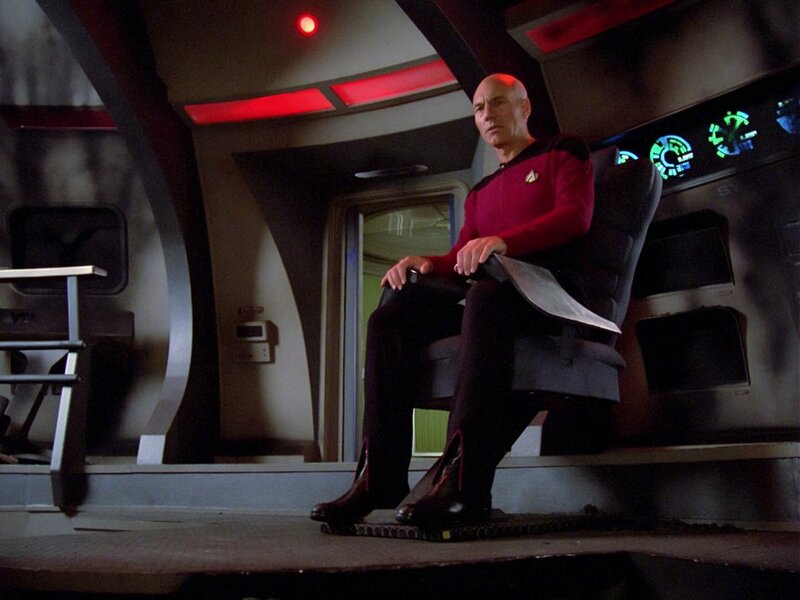 As the starship was changed last-minute from being a reuse of the Constitution class refit movie model, the displays behind the captain's chair that showed orthographic views of the movie Enterprise-A were left switched off for the Constellation class Stargazer. 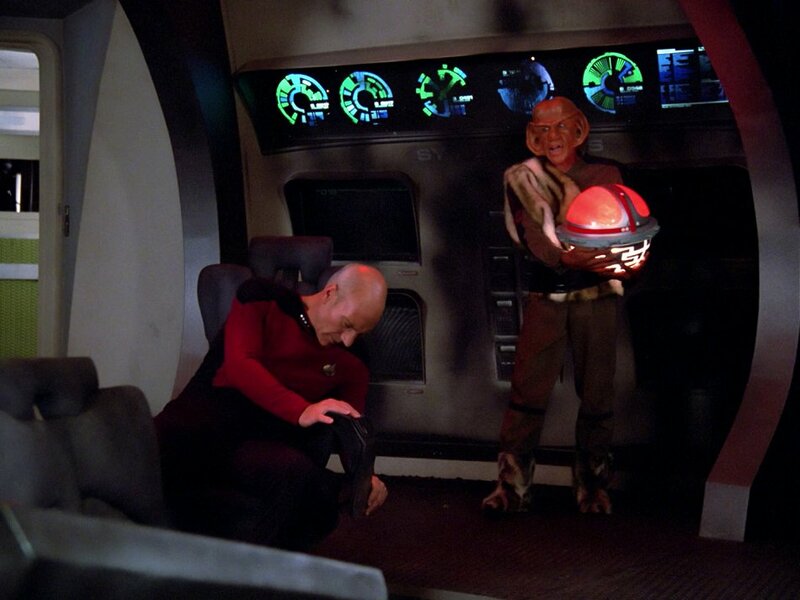 I wanted to show the Stargazer from before the time of Jean-Luc Picard in 2327. This was a starship that Geordi La Forge implied was a famous ship that had discovered a lot. This page is all about that pre-history of exploration. Rick Sternbach wrote a brilliant article on the Constellation class. In it he talked of the launch date and that Donald Capello was the first captain. 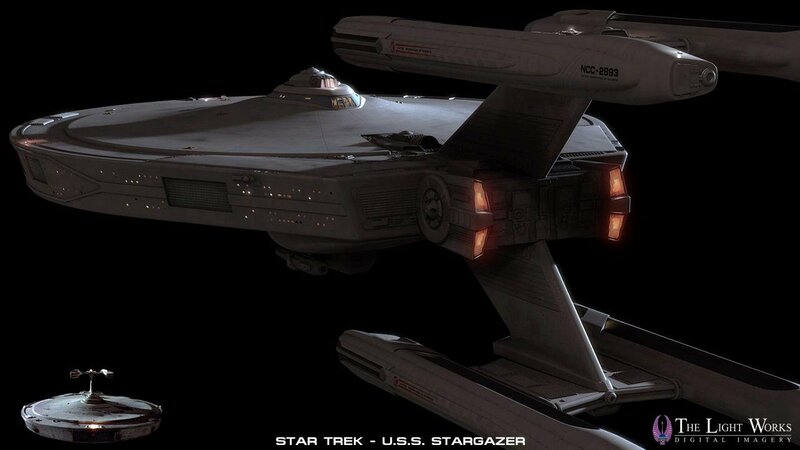 The same article also spoke of the Stargazer operating solo from 2303 - 2311 - that's an EIGHT year deep space mission that makes Constitution class five years seem positively short.